Yesterday I didn’t blog because I was with my husband at the hospital getting a monster of a Kidney Stone dealt with. That makes this for today’s post extra fitting. 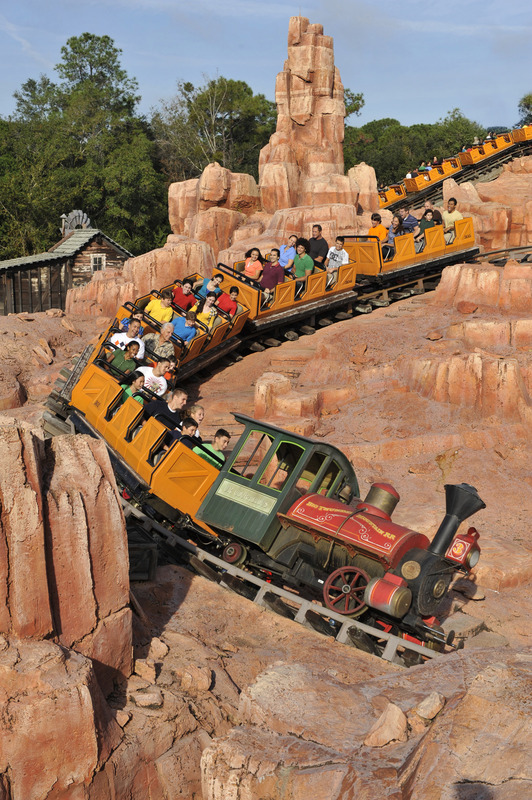 Live Science has reported that Disney World’s Big Thunder Mountain Railroad coaster was found by scientists to be perfect for aiding in the passing of Kidney Stones. Studying this phenomenon required a bit of ingenuity from the researchers. To test the effects of riding a roller coaster with kidney stones, they created a 3D model of a kidney that could be taken along for the ride (concealed in a backpack, of course). In the experiment, the researchers placed three real kidney stones and some urine in the model kidney. The kidney stones were different sizes: small (4.5 cubic millimeters), medium (13.5 cubic mm) and large (64.6 cubic mm). The researchers took the model kidney on the Big Thunder Mountain Railroad roller coaster 20 times. They experimented with the position of the different sizes of kidney stones in different parts of their kidney model. On one ride, for example, the largest stone was placed in the upper part of the kidney; on another, the large stone was placed in the middle of the kidney. Ultimately, each stone was placed in each location of the kidney for at least one ride. I think this might be another case of “Science is Weird”.